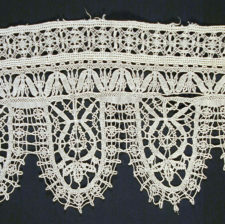 Ñandutí is a traditional Paraguayan embroidered lace. The name means “spider web” in Guaraní, the official, indigenous language of Paraguay. The lace is worked on fabric which is stretched tightly in a frame. 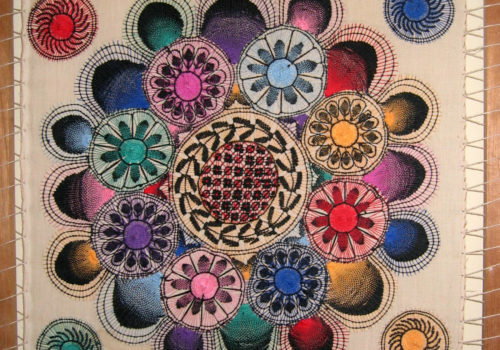 The pattern is drawn on the fabric and the threads, which go to-and-fro across the circular motif and are either taken through running stitches worked along the pattern lines or stitched directly through the fabric. When finished, the motifs are released by either cutting the running stitches or cutting away the backing fabric. 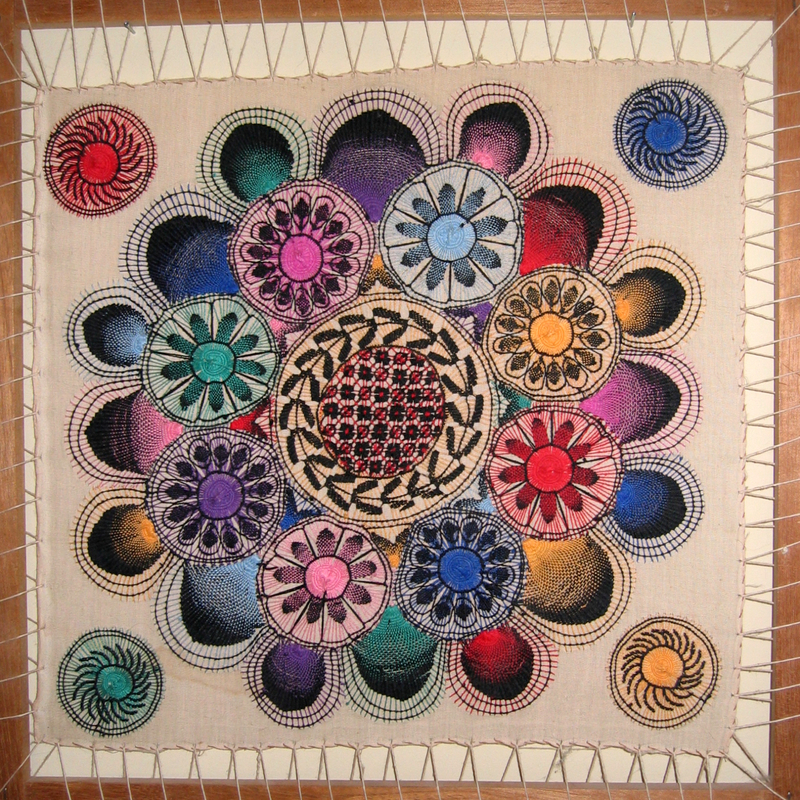 While single motifs can be worked like this, it is more usual to work the whole item as one piece – the pattern for the complete mat or collar is drawn on the fabric and the wheels are linked together as the radial threads are laid down.